Cryptocurrencies are no substitute for gold. In a summary of their report, WGC says”Bitcoin’s parabolic price rise was the big story of 2017 – putting the spotlight on the cryptocurrency market. While gold’s performance was a solid 13%, it was a fraction of the 13-fold increase of bitcoin by the end of the year. De Beers, has announced that “it is progressing development of the first blockchain technology initiative to span the diamond value chain and provide a single, tamper-proof and permanent digital record for every diamond registered on the platform.” Read more here, at IDEX. The Israel Diamond Exchange (IDE) unveiled a new diamond-backed digital coin at IDWI (international Diamond Week in Israel). “The Israel Diamond Exchange and startup CARATS.IO have unveiled a new diamond-based crypto currency called CDC (Carats.io Diamond Currency), which they created together. The new coin was unveiled yesterday (Monday) at the International Diamond Week in Israel (IDWI – February 5 – 7, 2018). The trade in the crypto currency will be based on a new index, presented yesterday for the first time, which will reflect the daily trends in the diamond trade at the IDE. The index will be updated daily on big LED screens, which will be set at the Trading Hall. The index will reflect diamond prices set according to 14 parameters for comparing diamond prices”. To know more, just read here, at IDE’s website. “According to Founder and CEO Avishai Shoushan, CARATS.IO’s extensive ecosystem of products will elevate the entire diamond industry. CARATS.IO is creating two separate cryptocurrencies, each backed by diamonds purchased on the Israel Diamond Exchange. One coin, called CUT (Carat Utility Token), will be used specifically in B2B transactions between eligible diamond traders. This currency will enable safe peer-to-peer transactions, altogether eliminating the need for financial intermediaries. The second currency, called CARAT, is meant for the wider market of financial institutions and digital currency investors. Both currencies will be backed by diamonds, with a market cap coverage of 25 percent, significantly reducing their speculative level of investment.“, in previous news. 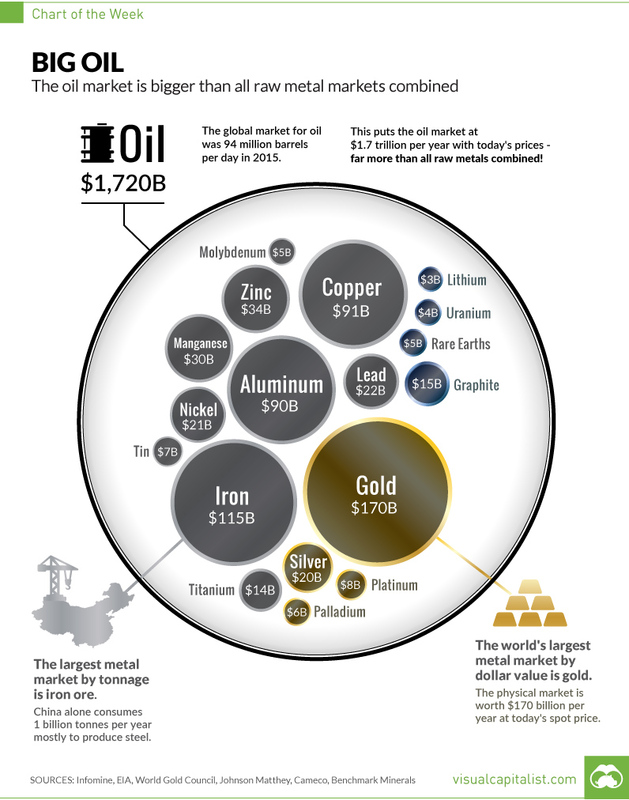 Oil and gold prices had steadily been growing since 2001. Oil spiked to maximum historical values in 2008 (and then crashed, to climb again for 3 consecutive years, plateau for 4 years, until mid 2014, crashing again, reaching nominal values of 2005, and recovering marginally since then). Gold has had a more regular pattern, growing since to 2001 until 2011, maintaining a high plateau until the end of 2012, crashing until mid 2013, becoming relatively stable since then. Polished diamonds have shown a much less volatile behaviour, with some ups in 2008 and 2011 (mimicking the markets’ general mood) but rapidly stabilising into a nominal stability (a slow real price decline). Rough diamonds prices rose roughly 50% in nominal terms (as measured by the Zimnisky Rough Index) since 2007, a more subdued increase in real terms. The price increased in the 2009 – 2011 period, after which it stabilised until early 2015, after which it slowly declined until today. Why are diamond prices less volatile than other mineral commodities’? Why do rough and polished prices behave differently? New deposits discovery and production capacity expansion seem increasingly difficult; why don’t diamond prices increase significantly in real terms? Are there two different markets in diamonds? What is the impact of new recovery technologies (XRT) in diamond markets? Will discuss that in the next post. What is your opinion? The oil and gold indices were calculated by just dividing the monthly gold average nominal price in US dollars by their price (nominal US dollars) in January 1980. The Antwerp Diamond Index is maintained by the Diamond Office of The Antwerp World Diamond Centre (AWDC). To know more about AWDC and the Diamond Office , just visit their website: https://www.awdc.be/en/diamond-office. The Zimnisky Global Rough Diamond Price Index was created to consolidate rough diamond price information and publish current respective price changes of rough diamonds on a weekly basis in the form of an index. The intent of the Index is to track, analyze, and disseminate current aggregate rough diamond price fluctuations for use by a range of diamond industry participants. The proprietary index methodology primarily incorporates price data from rough diamond transactions in the primary market, e.g. sales via long-term contract, tender, and auction by commercial miners. The Index also includes a minor sensitivity to polished diamond prices, given that miners utilize the polished market as a factor when determining contract pricing of rough. In addition, the Index includes a minor sensitivity to stand-alone diamond mining equities, as the relative liquidity that equities provide can imply the current profitability and revenue generation ability of diamond miners, which is directly influenced by the current rough diamond market. Given the nature of natural diamond production, the variance in quality of stones produced, or the product mix, can impact global rough diamond prices on an average price-per-carat basis. The Index strives to represent as accurately as possible current price changes reflected in the average rough diamond transaction valued on a per carat basis in U.S. dollars. The Index value does not directly represent the price of a 1-carat rough diamond, but the percentage change in the average value of a rough diamond transaction relative to the initial Index value, at a given point in time. The Index is based on an initial value of 100 using data starting on April 4, 2004. The Index is updated on a weekly basis, typically on Saturday. Retroactive revisions to index data are made on a quarterly basis typically after public miners release official quarterly sales figures. To know more about the Zimnisky Global Rough Diamond Price Index, or obtain Paul Zimnisky’s insight on the diamond markets, check http://www.paulzimnisky.com. 2016 was the second best year for ETFs on record. Global demand for gold-backed ETFs and similar products was 531.9t – the highest since 2009. Q4 saw outflows. The gold price ended the year up 8%. Having risen 25% by the end of September, gold relinquished some of its gains in Q4 following Trump’s conciliatory acceptance speech and the FOMC’s interest rate rise. 2016 saw a 7-year low for jewellery demand.bRising prices for much of the year, regulatory and fiscal hurdles in India and China’s softening economy were key reasons for weakness in the sector. India’s shock demonetisation policy brought the market to a virtual standstill. An initial rush for gold following the policy announcement came to a swift halt in the ensuing cash crunch. You may download the full report report here. The six CIBJO Blue Books are definitive sets of grading standards and nomenclature for diamonds, coloured gemstones, pearls, coral, precious metals, and gemmological laboratories. They are compiled and then are consistently reviewed and updated by the relevant CIBJO Commissions, whose members include representatives of trade organisations and laboratories active in the respective areas of the industry. In the almost complete absence of jewellery industry standards endorsed by the International Standards Organisation (ISO), the CIBJO Blue Books are the most widely accepted set of globally accepted standards. The updated versions can be downloaded from the following page on the CIBJO website: http://www.cibjo.org/introduction-to-the-blue-books/. For individuals who are not members of a CIBJO-member organisation, each individual download will cost 9.90 Swiss francs. All six Blue Books (Diamond Book, Gemstone Book, Pearl Book, Coral Book, Precious Metals Book and Gemmological Laboratories Book) can be downloaded as a single package at a discounted rate of 49.90 Swiss francs. For individuals who are members of an organisation that belongs to CIBJO, he or she is entitled to receive the CIBJO Blue Books free of charge. They should contact the organisation of which they are members to arrange delivery of the relevant Blue Books by email. According to REUTERS (WORLD NEWS | Tue Nov 22, 2016 | 1:47pm EST), The European Union agreed a deal on Tuesday to stem the flow of gold and other metals used to fund armed conflicts or produced in conditions that breach human rights. EU importers of tin, tungsten, tantalum, gold and their ores will from 2021 have to carry out checks on their suppliers in legislation that will also apply to smelters and refiners. Human rights campaigners said the agreement was a half-hearted first step, with imports of finished products that may contain the minerals not included and an end result that exempted a large number of companies. Much ado about nothing, one of my favourite Shakespeare plays.